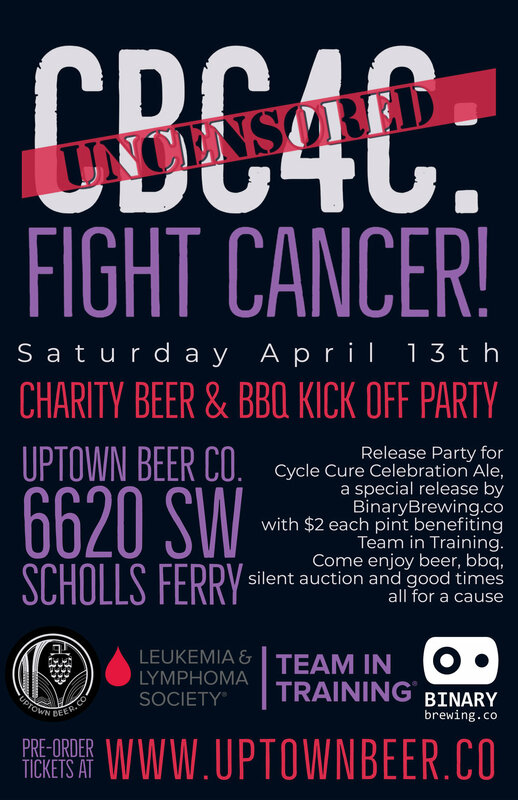 CBC4C Uncensored — Uptown Beer Co.
Join Uptown to fight cancer throughout the month of April!! We're working with http://cyclecurecelebrate.com/ to raise money for the fight against Leukemia and what better way than to drink beer while doing so?! Join us Saturday April 13th for the big beer and BBQ celebration, featuring a silent auction and prize drawings. VIP Tickets Sold Out! Reserved seats still available and of course you can come day of and join in the fun! Hop Madness Final Pour Championship!